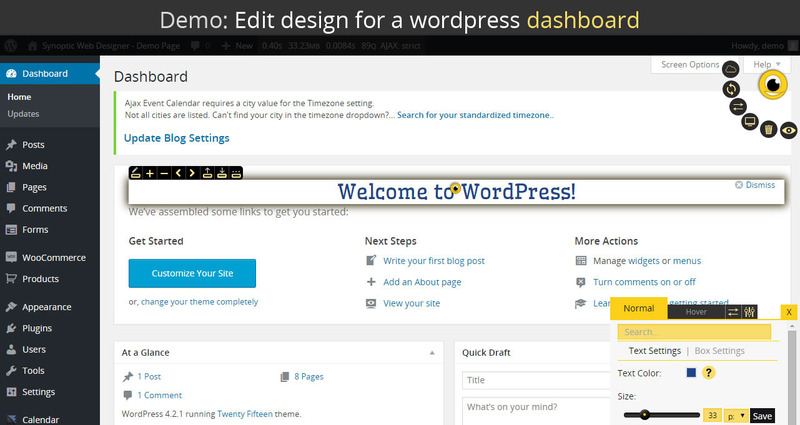 Synoptic Web Designer: best WordPress design tool is a wordpress plugin which helps you to edit/change the design of your blog, website, admin/user dashboard, forms, woocommerce pages, events calendars, galleries, bbPress pages and others in just a few minutes (no coding needed). Also the published changes are saved into history and you have possibility to roll back at other published version ( if you don’t like some changes ) or you can just delete unwanted changes. 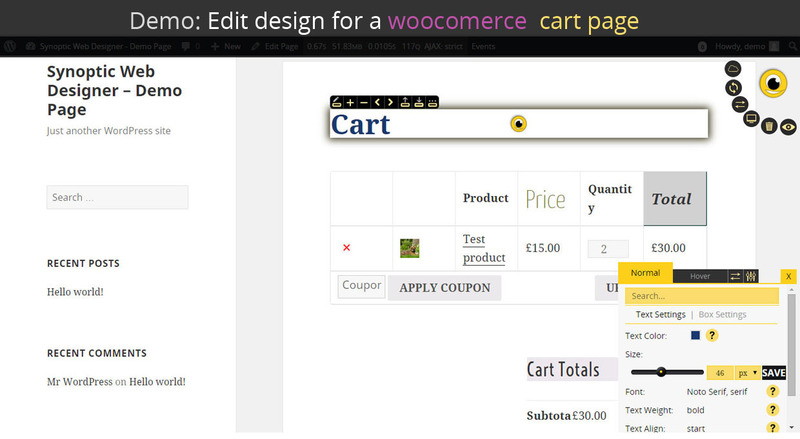 You can edit design of your website elements very easy and fast with Synoptic Web Designer: best WordPress design tool. 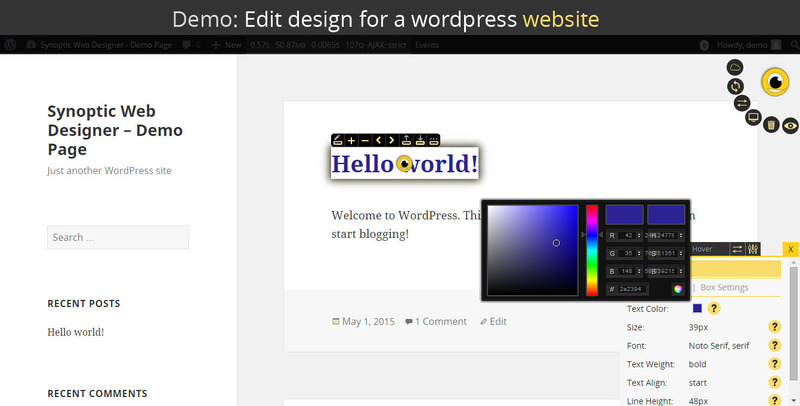 You can edit normal and hover CSS properties of every element from your website. The html tags autodected by Synoptic and allowed for editing are : h1, h2, h3, h4, h5, h6, div, p, table, span, img, ul, li, ol, thead,tbody, tfoot, tr, td, form, fieldset, legend, label, button, input, textarea, select, strong, code, br, article, aside, bdi, details, dialog, figcaption, figure, footer, header, main, mark, menuitem, meterm nav, progress, rp, rt, ruby, section, summary, time, wbr, datalist, keygen, output, canvas, svg, audio, embed, source, track, video, area, map, object, param, pre, a, b, i, th. If you need other tag just tell us and in maximum 30 minutes we will add it. for you. The CSS properties that you can change its for every element of your website are : text color, size, font family, text weight, text align, line height, text style, text decoration, text transform, font variant, letters spacing, word spacing, vertical align, white space, background color, background repeat, background image, width, height, padding top, padding left, padding bottom, padding right, margin top, margin left, margin bottom, margin right, border, border color, border radius, display, outline, outline color, position, top, left, bottom, right, overflow, z-index, float, clear, background size, background position x, background position y, visibility, border top, border left, border bottom, border right, border top color, border left color, border bottom color, border right color, border top radius, border left radius, border bottom radius, border right radius, border collapse, border spacing, caption side, content, page break before, page break after, page break inside, orphans, widows, cursor, direction, min width, max width, min height, max height, table layout and list type – if is an element of list. If you need other propertie just tell us and we will add it. for you. All changes are saved in a generated minified CSS file which made that all changes to be applied very fast in your website. You don’t need any development website. You can develop directly on your live website.You can do all changes you want without anybody seeing your devolopment modifications. You can try a lot of modifications and when you like its you just publish its and then everyone will see it. 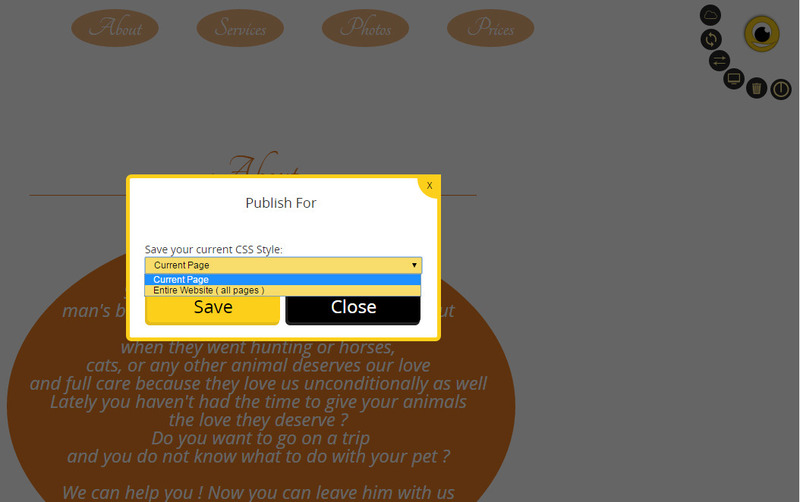 If you want to make your website user friendly you can change the fonts of your website with over 600 Google fonts. 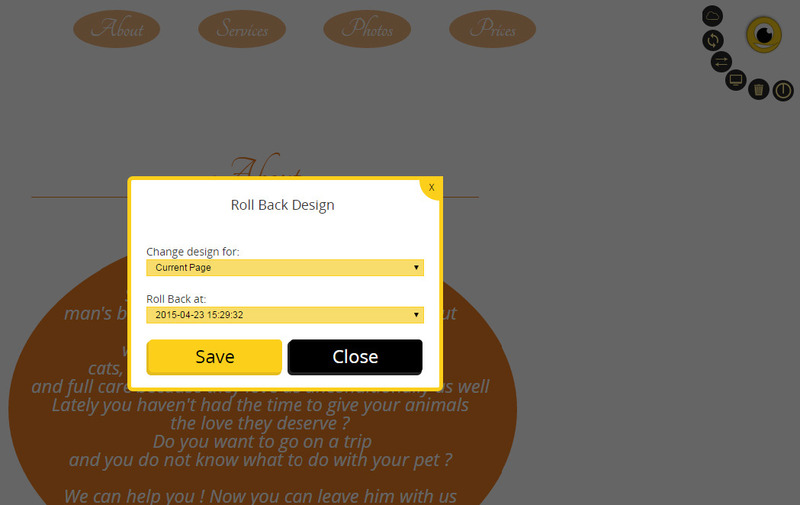 If you want to copy a design from an element to another you must click on copy design from wanted element and then click on paste design to your element. 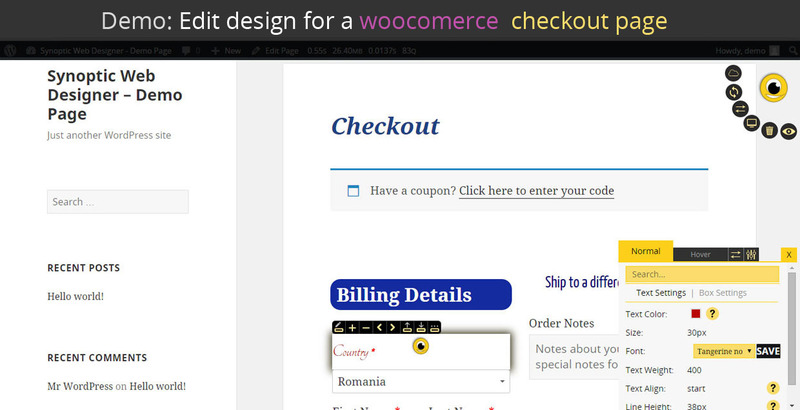 This option was created to edit faster your website design. Also we created other options which can help you. (like possiility to edit design of multiple elements in same time). 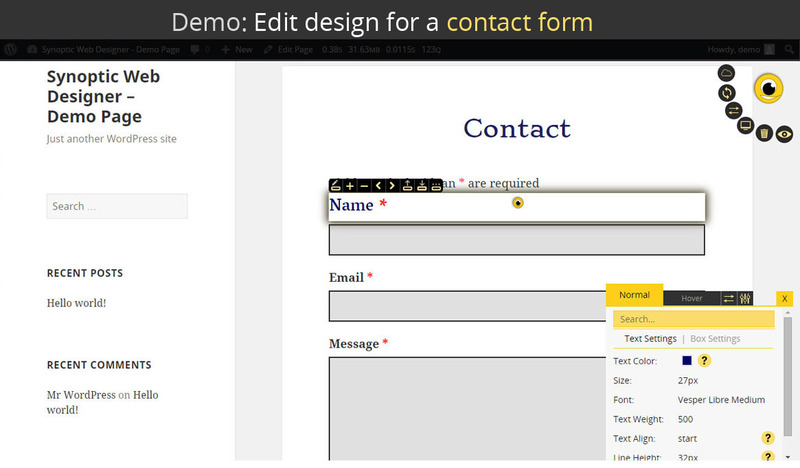 You can edit your the design of your website to look fine for every device and resolution. 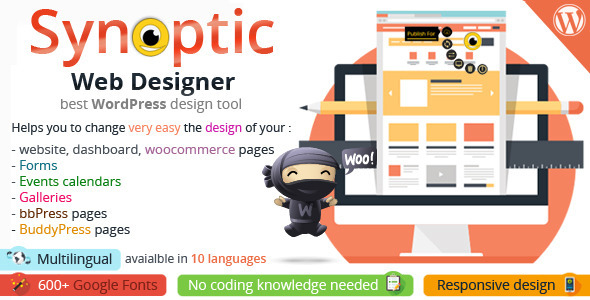 If your website is not responsive design yet you can make it very easy with Synoptic Web Designer: best WordPress design tool..
All your published sessions are saved in history and you have possibility to roll back in at every session you want.Also you have possibility to delete some unwanted sessions. 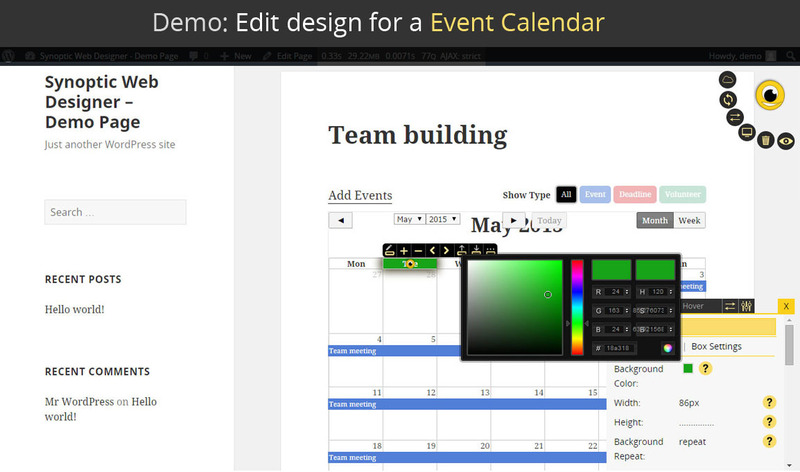 You have possibility to compare originail design with new design created with Synoptic Web Designer: best WordPress design tool./strong>. Your feedback will help us very much. If you have any feature request please just tell us and we will add it for you.Together we can do it better. * Box Direction bug fixed.